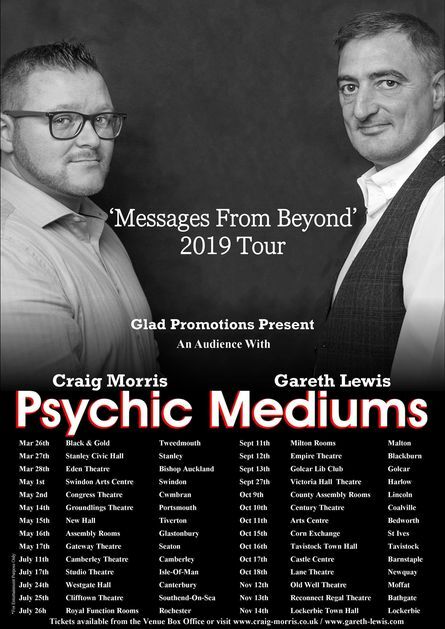 This year sees Craig Morris & Gareth Lewis join together on their “Messages From Beyond” Tour. They Will be working together for their second UK tour on what is set to be an exciting and uplifting journey. Come along and join together & be in the company of family, friends and loved ones from the spirit world as they not only share their presence but their messages of hope, strength and love showing you they are only a thought away and that life really is eternal.